Account Name: Stanley Statement Due: 03/01/2008 to 03/31/2008 LT - Long Term (Held more than twelve months). 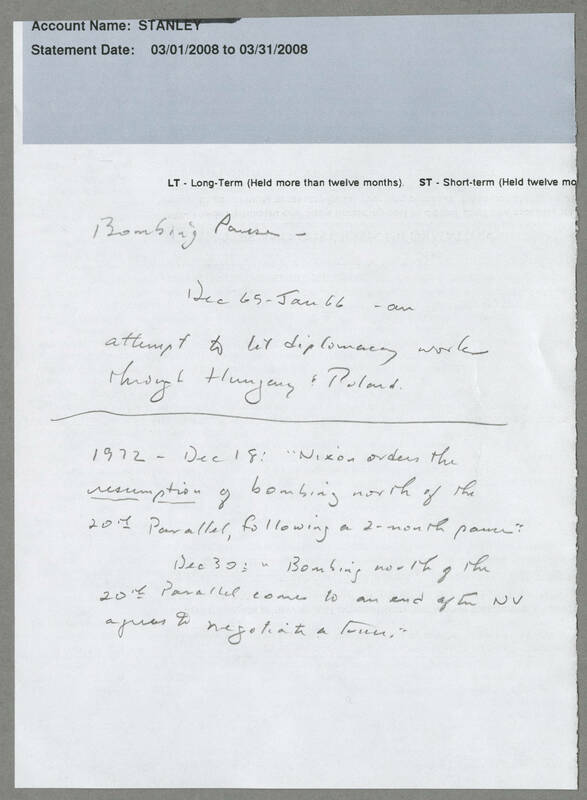 ST - Short-term (Held twelve mo Bombing Pause - Dec 65 - Jan 66 - an attempt to let diplomacy work through Hungary and Poland 1972 - Dec 18: "Nixon orders the resumption of bombing north of the 20th Parallel, following a 2-month pause." Dec 30: "Bombing north of the 20th Parallel comes to an end after NV agrees to negotiate a truce."